Recently, I had couple overseas VCDs to watch but I recently re-installed my PC and my default Windows Media Player could not open the VCDs. 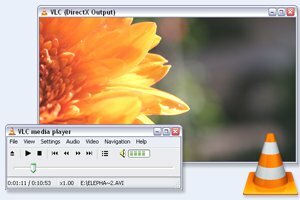 Although most computers nowdays come installed with a VCD-capable player, I decided to search for an open-source media player and found VideoLAN. It works pretty good except I only had one trouble of videos playing in black and white. To fix this, you simply need to set the video mode to something like Direct3D.